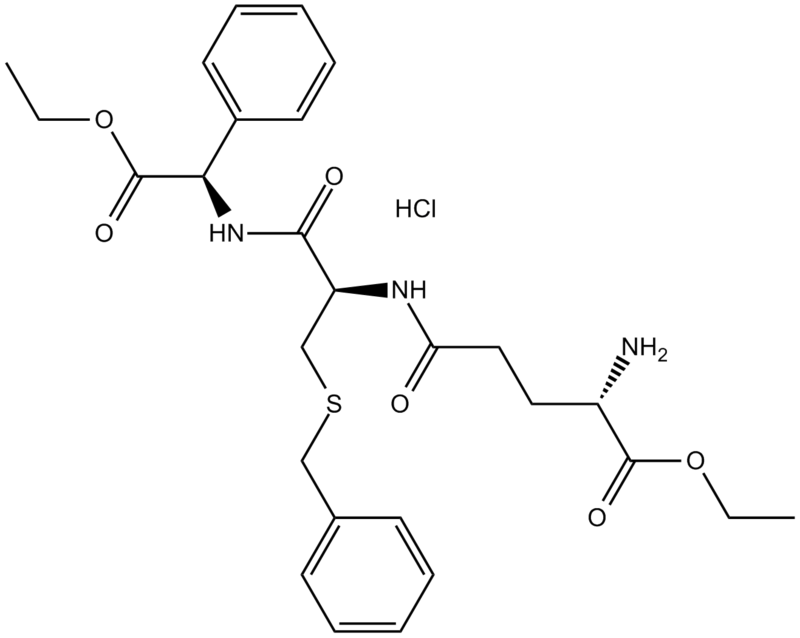 The solubility of this compound in DMSO is >28.3mg/mL. General tips for obtaining a higher concentration: Please warm the tube at 37 ℃ for 10 minutes and/or shake it in the ultrasonic bath for a while. Stock solution can be stored below -20℃ for several months. Treatment with TLK199 in leukemia cell lines resulted in apoptosis and increase in ROS levels. Treatment with TLK199 resulted in cleavage of PARP protein in a dose- and time-dependent manner. In HL-60 cells, TLK199 (40 μM for 5.5 hours) induced activation of caspase 3 and caspase 9. TLK199 led to loss of cell viability. In TF-1 and HL-60 cell lines, TLK199 treatment resulted in the upregulation of several genes involved in the cellular response to ER stress. TLK199 treatment upregulated genes for AP-1 transcription factors such as c-jun. Ezatiostat hydrochloride(TLK199) is an effective inhibitor of glutathione S-transferase （GST）. Ezatiostat hydrochloride (TLK199) is a novel glutathione analog and the potential treatment of cytopenias. In addition, Ezatiostat hydrochloride has been revealed to selectively bind to and thus inhibit GST P1-1. 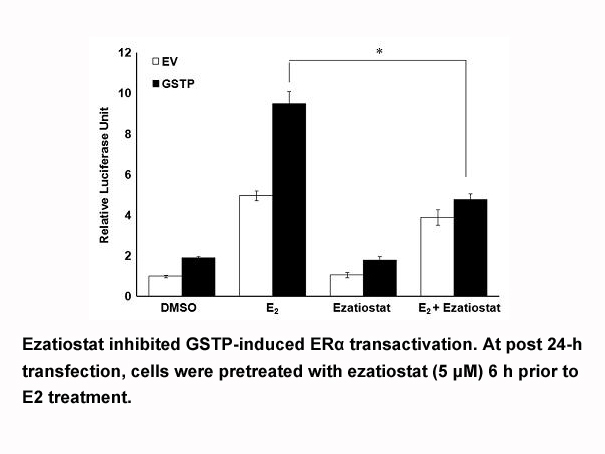 Because GST P1-1 can bind to and inhibit JNK, Ezatiostat hydrochloride has also been exhibited to inhibit GST P1-1, activate JNK, and promote the growth and maturation of hematopoietic progenitors in preclinical models. Moreover, Ezatiostat hydrochloride has been reported to stimulate the proliferation of myeloid precursors. 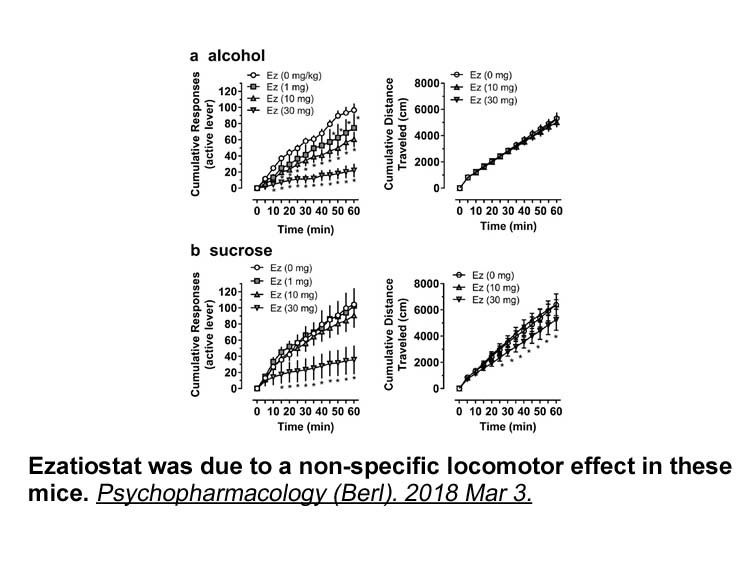 Ezatiostat hydrochloride has been elucidated to induce growth inhibition and cellular apoptosis in human leukemia cells (HL-60) with a CC50 value of 6-17μM. Apart from these, Ezatiostat hydrochloride has shown the stimulation of multilineage differentiation in mature monocytes, granulocytes and erythrocytes [1,2]. Tew KD1, Dutta S, Schultz M.Inhibitors of glutathione S-transferases as therapeutic agents. Adv Drug Deliv Rev. 1997 Jul 7;26(2-3):91-104.